A Complete Ganesh Yantra - Yantra for Good Luck, Success, Wealth & Prosperity. 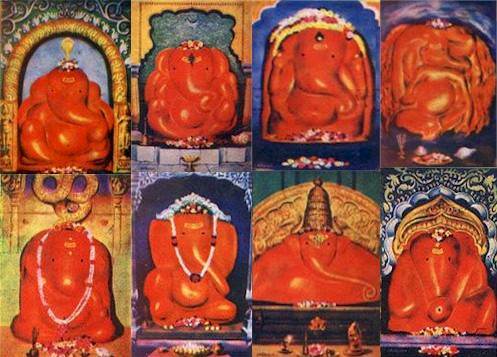 Ashtavinayaka Ganesha means "eight Ganeshas" in Sanskrit. Ganesha is the Hindu deity of prosperity and learning. The term refers to a pilgrimage to the eight Hindu temples in Maharashtra state of India that house eight distinct idols of Ganesha, in a pre-ascertained sequence. 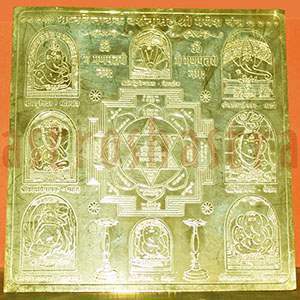 Astroshastra, in an effort to provide the authentic yantras to devotees, made the Ashtavinayaka yantra in pure copper with Gold plating, which has eight ancient forms of Ganesha inscribed on it. The form of each murti of Ganesha and His trunk are distinct from one another. Some of these murtis are called Swayambhu effigies, or the self-existent in Sanskrit. This is to indicate that no human created these murtis, they were found completely formed by nature. In our efforts to provide the best quality and authentic ancient hindu yantras to our esteemed customers , Ashtvinayak yantra is made on auspious day with Ganesh Yantra in centre and engraved Eight forms of Lord Ganesha around the yantra making a complete Ashtvinayak Yantra. Astroshastra would energise this Yantra after getting an order from you in your name to give to maximum benefit. 1. It can be placed in home temple or your almirah. It can also be placed in your office drawer. 2. It should be placed with respect and place it where you can see it daily, wrapped in red cloth. 3. The person who is to perform puja on Ashtvinayak Ganesh Yantra should take a bath early on Monday morning, should wear clean clothes and sit on a Aasan and keep with him Pooja Samagri, GangaJal and the Ashtvinayak Ganesh Yantra, which should be kept on a wooden piece before him. 4. One should keep hankercheif, towel etc on the head and apply Tilak on his forehead with Chandan or Sindoor. 5. Pooja be started with three Achamans reciting each time:- "Om Keshvaya Namah", "Om Madhvaya Namah", "Om Narayanaay Namah”. the Ashtvinayak Ganesh yantra is being placed. 7. Now sprinkal Panchamrit and GangaJal on Ashtvinayak Ganesh Yantra. 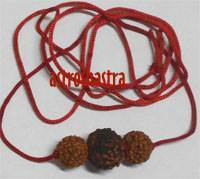 Dry with clean cloth; worship it with Tilak, rice and Dhoop. 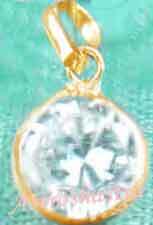 For Yantra Pendants, put a thread or gold / silver chain and wear it around neck . 8. Recite specific mantra for the Ashtvinayak Ganesh Yantra 108 time. 9. Daily receite the Mantra only and you do not have to repeat the procedure daily.